Some crave for comfort foods. For those, here it is. Chicken in tomato puree, spinach and ricotta mixture, cheese sauce,,,, are layered using pasta sheets which result in a cheesy creamy baked meal. Lasagne is a popular oven baked pasta dish. 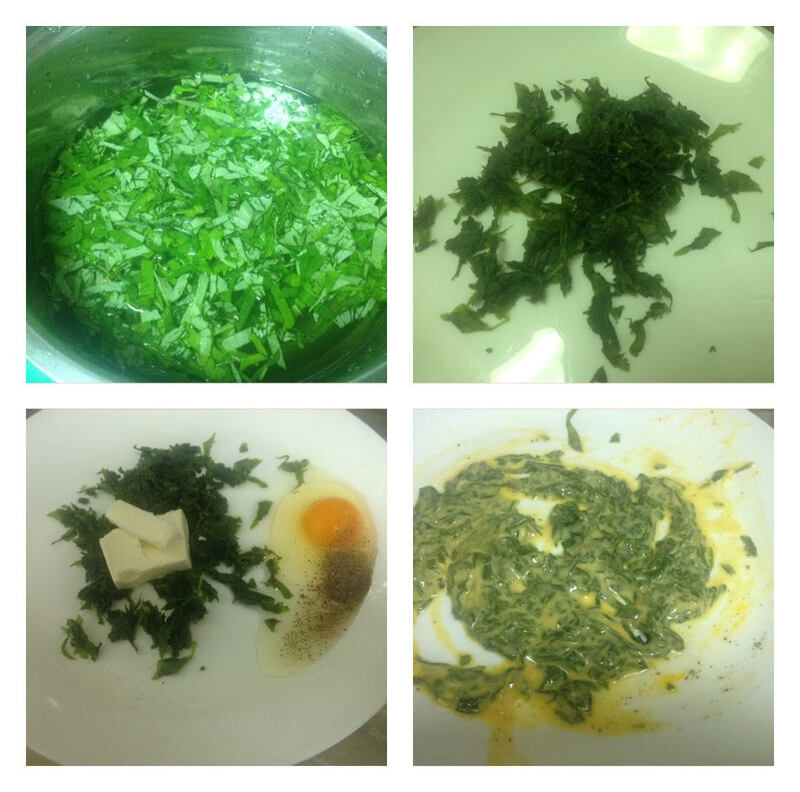 Traditionally, it is an Italian dish made by interleaving layers of pasta with layers of sauce where the sheets are always green in color due to the addition of spinach to the egg batter /dough. The word Lasagna is the singular form of Lasagne, which means multiple sheets of pasta. In Italy or especially outside of Italy, many lasagna variations exists today. 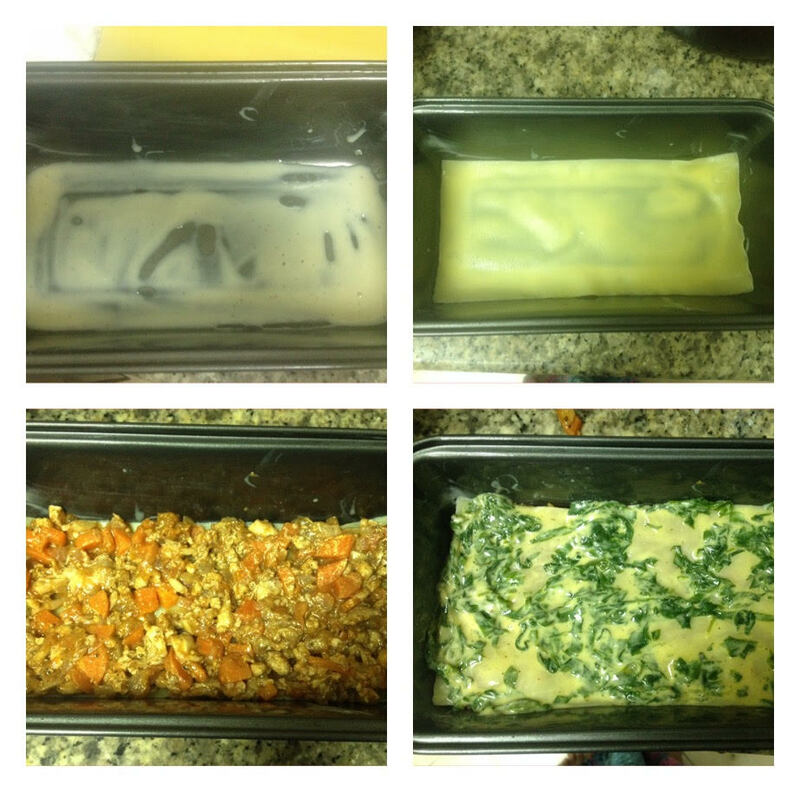 Vegetable lasagna, lasagna without bechamel sauce, lasagna without any sauce or sometimes lasagna without sheets of pasta. While assembling lasagna we must start with layering the main ingredient first, then a layer of bechamel sauce, followed by a layer of pasta, again the main ingredients and continue until the oven dish is full. Always ends with a layer of grated cheese. 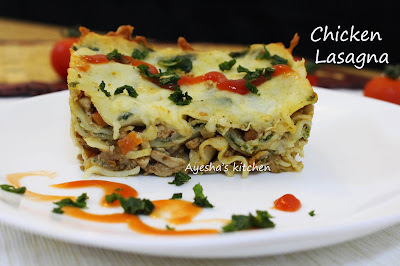 An amazingly creamy cheesy delicious chicken lasagna with all that goodness of homely food. So let's move to the recipe now. Here is the recipe for chicken lasagne with rich spinach and ricotta filling. When it comes to comfort food, there is no greater combination than cheese and noodles/pasta. If you have cheese lovers in your family, then I can guarantee that they will be licking this lasagnas cheese sauce. Chicken lasagna with white sauce is a toothsome mixture of spinach, egg and ricotta cheese with layers of chicken filling and top with grated mozzarella cheese will surely make a rich and satisfying baked meal. 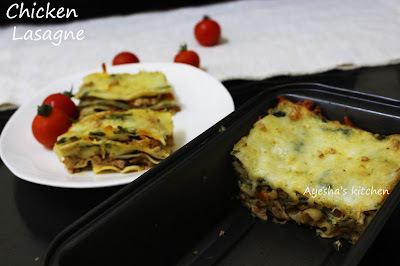 Let's see how to make chicken lasagne/lasagna at home. Enjoy!! Heat a non-stick pan with oil. 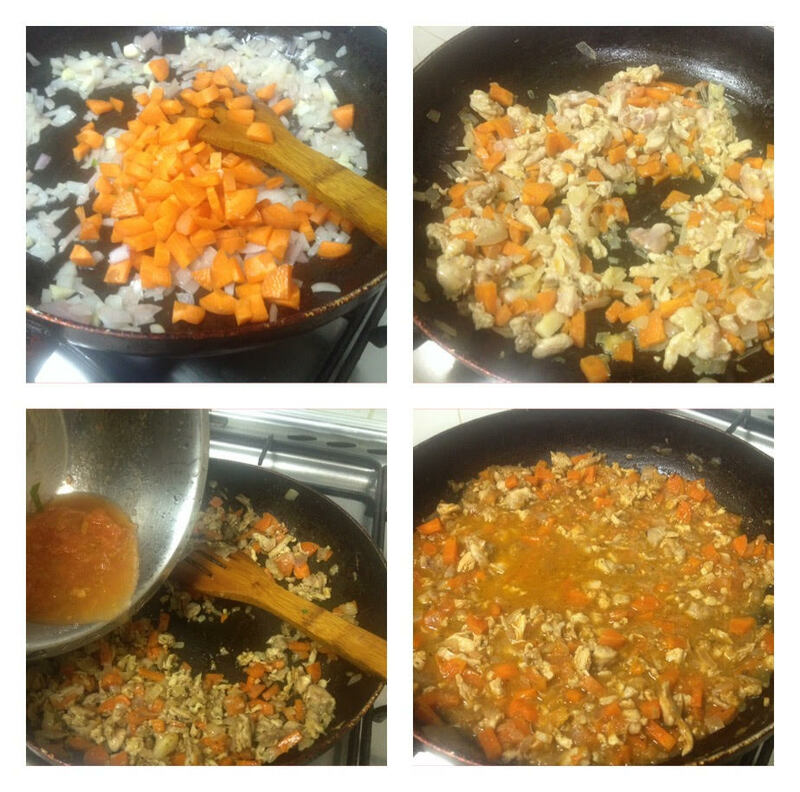 Saute onion, carrot, and garlic until soft, but not browned. Cook on a medium flame for 6 - 8 minutes. Now make the flame to medium high and add chicken mince or chunks. Mash it with a spatula well. Then add finely chopped mushrooms (optional). Now add tomato puree, chicken stock, oregano to the chicken mixture and stir to combine. Once the mixture boils, reduce the heat and simmer the flame. Cook uncovered stirring occasionally until the liquid has reduced slightly. The sauce must be runnier, but not more as the lasagna sheet will absorb some of the liquid as they cook. This mixture can be prepared in advance and stored in an air tight container for instant use. Spinach layer...Here i assembled only a layer of spinach and cheese mixture. 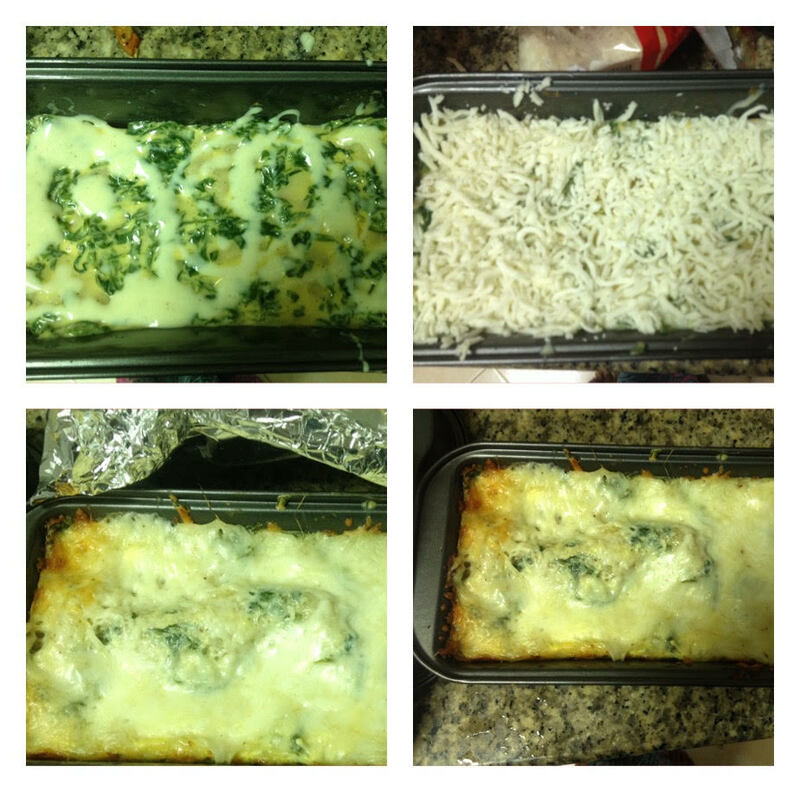 So if you need more layers, you must increase the quantity of cheese and spinach. Finely slice the green spinach (or any green leafy vegetables preferred). Cook it in a pan until done and drain the excess water by squeezing very well(this helps to maintain a perfect lasagna.that is it helps to prevent lasagna from watery texture). Add this cooled spinach, egg, ricotta cheese salt and pepper in a bowl. Mix well. Cover and place it in the refrigerator until assembling. Cheese sauce...Add flour to the melted butter in a sauce pan. 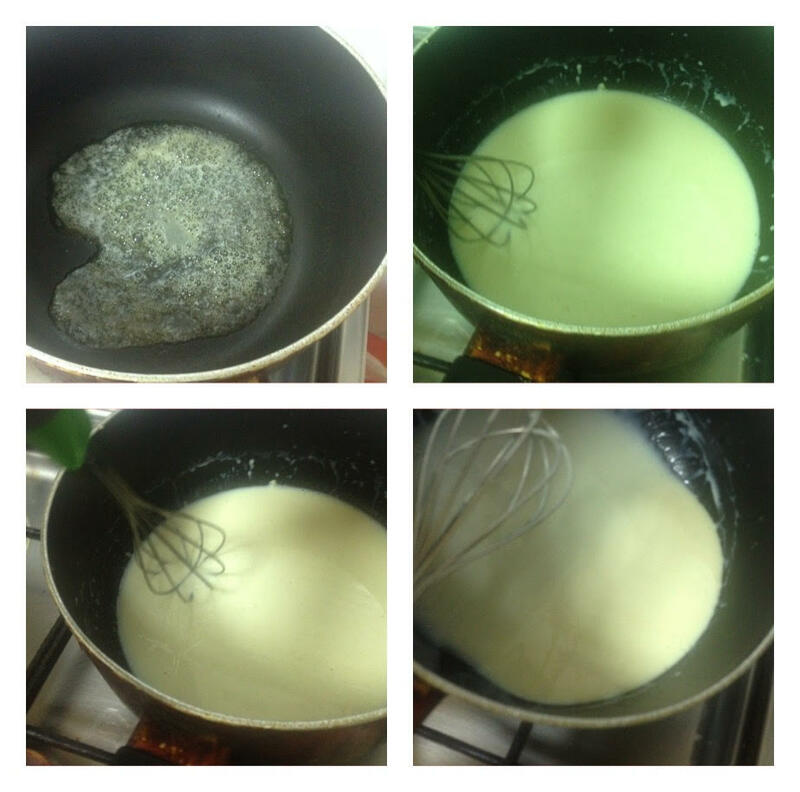 Whisk constantly until the mixture bubbles. Whisk for 30 seconds continuously. Remove sauce pan from flame and add milk and whisk well until smooth. Again switch on the flame and whisk constantly to prevent the sauce sticking on the bottom. Cook until sauce thickens and bubbles. Now add the grated cheese into the sauce and season with salt and pepper. Finally cook the lasagna sheets with lots of water along with some salt. Same like we prepare pasta or macroni. Drain the excess water and set aside. Assembling..I used bread loaf pan for making this yummy baked dish. You can also use oven proof dish. So let's start assembling. Always start with a thin layer of cheese sauce which helps to prevent the pasta sticking to the tray. Layer the sauce with a single layer of pasta sheet. 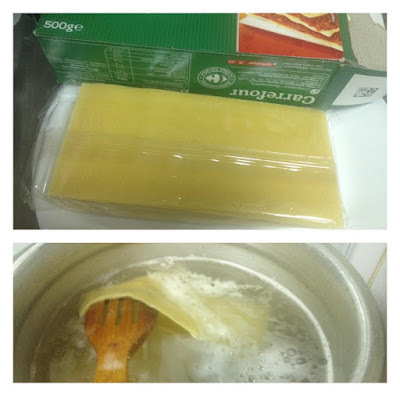 Then cover it with a layer of pasta sheet. Spread some cheese sauce and top it with spinach mixture. 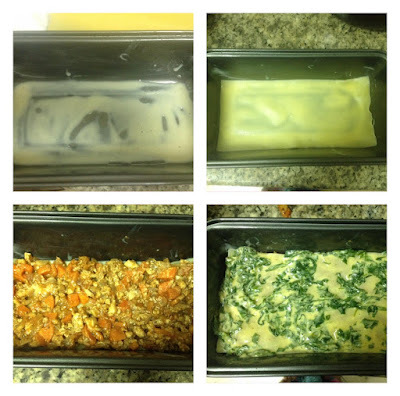 Cover it with pasta sheets and add a layer of chicken mixture. Again a layer of pasta sheets and finally top it with cheese sauce and grated cheese. Spreading cheese sauce in each layer will give you a perfect textured lasagne. So do not forget to add cheese layers in between. Here i just added only one layer of the spinach mixture. Remove the foil and again bake for about 15 minutes until the cheese is golden and pasta become tender. Remove the lasagna from oven and allow it to cool. Slice only after few hours for the best result.